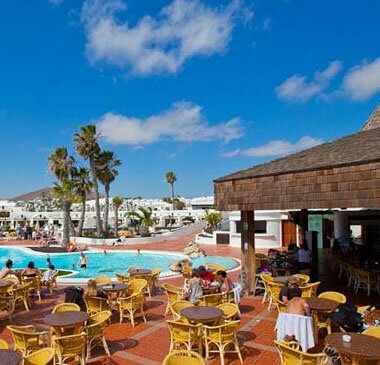 The Sands Beach Resort is located in Costa Teguise, the complex has a unique seaside location with its own lagoon and private beach. The apartments (the owners describe them as villas) are set around six different plazas each with its own sunbathing area and pool. In the centre of the lagoon accessed by footbridge is 'Paradise island' the island is home to the Mai Tai snack bar and another decent sized swimming pool. The complex will definitely appeal to families who will enjoy the good range of facilities, optional board arrangements, the pool areas and safe swimming. We rate this popular family complex somewhere between a 3 and 4 star standard. 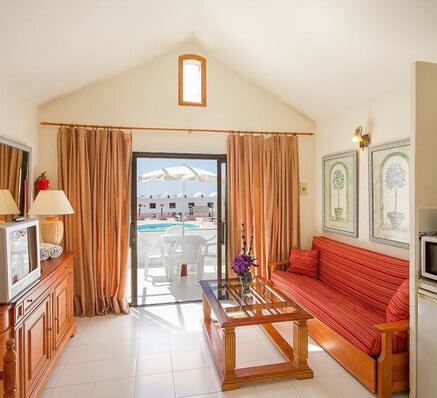 The Sands Beach Resort provides a choice of apartments that can be booked for a single occupancy or up to 3 bedrooms to accommodate larger families. Each apartment has its own terrace and sunbeds. In addition they have a well equipped bathroom and kitchen and they have a spacious layout inside which gives guests the option to eat either inside or outside on your terrace. Facilities include: toaster, ironing facilities, electric kettle, wake-up service, wardrobe/closet, kitchenware, seating area, pool view, hairdryer, toilet, refrigerator, safety deposit box, tea/coffee maker, telephone, TV with satellite channels, bath or shower, sofa, laptop safe, microwave. Holidays at The Sands Beach Resort are not just for those who enjoy sunbathing and floating in the pools, for the more energetic, the complex offers adults a range of sports; running (3Km/5Km), Sand Run, Open Water Swim, Yoga, Pilates, Fitball, Stretch & Relax, Cross-Fit, Stand Up Paddle Boarding, Windsurfing, Max Interval Training, Aqua Zumba, Zumba, Aqua Combat, Aqua Gym, Water Polo, Football, VolleyBall, Canoeing on the Lagoon, Snorkeling, Scuba Diving, Tennis, a fully equipped Gym, and personal training with Bella Bayliss, 16x Ironman Champion! Don't worry about the kids getting bored either as we have a club here at the hotel called Buddy’s Club to keep them fully occupied. Everyday at Buddy’s Club there is a different theme with an array of fun-filled activities from the morning until the afternoon. In the evenings the fun doesn't stop, guests can pop into the Soleil bar with its terrace balcony, a great place to enjoy a drink and some top cabaret with the family. If you prefer not to cook on holiday then you can visit the Hacienda restaurant, situated in the midst of the plazas, you can choose from breakfast or dinner buffets, something a little more formal or just a pizza to eat in or take home. For lunch, a short walk across the wooden bridge will take you to paradise island and the Mai Tai pool bar & restaurant. Food here ranges from all day breakfast through to lunch or a BBQ snack, all accompanied with a long cool drink. 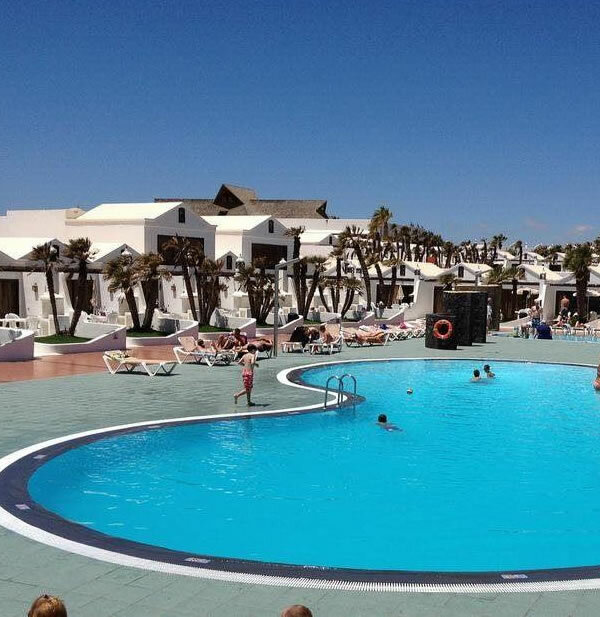 This is one of the most popular family zones and offers a children's menu and daily activities for the youngsters around the pool. Other facilities provided by the Sands Beach Resort include, laundry facilities, a courtesy room for late departures, hairdresser, internet corner, shop, boutiques, library, conference rooms and a private car park. There are also two squash courts (for a charge). 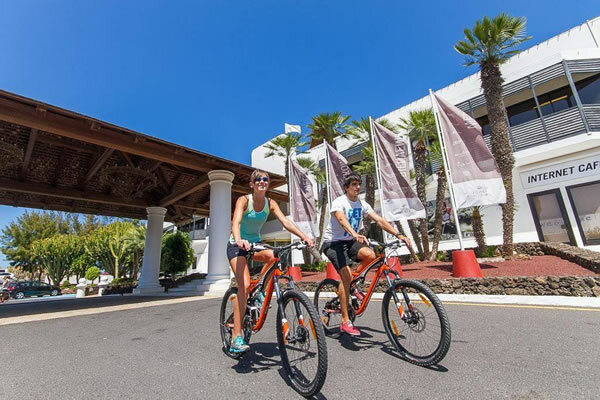 Bycycle hire of road and mountain bikes are available at the hotel. 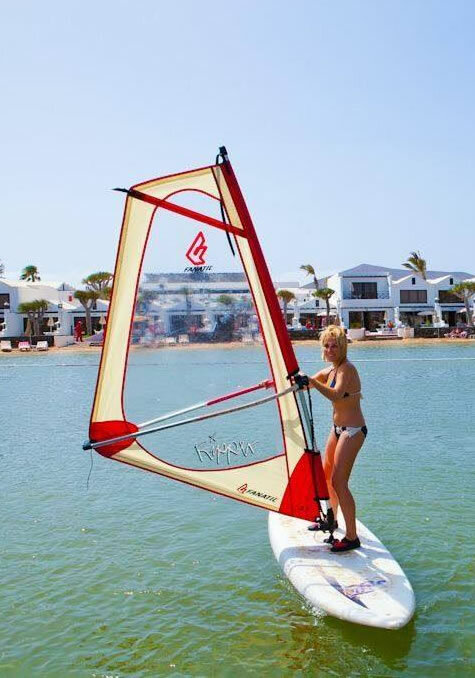 A wind surfing school is located around 10 minutes from the hotel. (local charges apply).